I prodded, thumped and squeezed various cuts of meat last Saturday only for the heavens to open when the barbecue was lit. Ah well. The British summer always catches us out. One thing was a certainty – the Co-op wines I’d taken to a friend’s were always going to please. Truly Irresistible Bio Bio Valley Malbec (£6.99, Co-op) is a stunner and has won Gold at the Decanter World Wine Awards. As the barbie finally took hold, there was a fair bit of sprinting in and out of the rain to turn skewer-spiked lamb I’d marinated in harissa paste, mint and lime juice. While they spluttered and sparked, the Chilean malbec held centre stage. This wine is power-packed with silky dark cherries and blackberries; it is clothed in vanilla and has edges of peppercorns and hints of herbs. It was perfect with the spicy lamb kebabs – a truly fabulous red for less than £7. The Co-op has also scooped Decanter gold with Domaine les Grandes Costes Pic Saint Loup 2012 (£14.99) a blend of syrah (80%) with grenache and cinsault as the backroom boys. Judges said “this is a wine you just want to drink more of” – a scenario I don’t have a problem with. There’s a punnet of perfect plums and layers of spice mingle and tickle in the mouth. Staying at the Co-op, it has added Truly Irresistible Greco (£6.99) to its range; and oddly for a summer release, the label is more akin to Halloween. With a nod to 1950s B-lister horror films, the label’s illustration has a woman screaming, a villain emerging from a crypt and the declaration: “The Co-operative Wines Proudly Present Grecula (Greco 2014)” “pale, haunting, crypt-cold and chilling”. Erm. Right, OK. The Greco grape is known locally as Grecula – which explains the Co-op’s artistic inclination. The wine is lemon-rich with stone fruits and clothed in honey. The label is a bit of fun from the marketing folks but I wonder if it cheapens the image of a wine which is simple and pleasant. Josmeyer Pinot Blanc Mise du Printemps 2014 (£11.50, The Wine Society) – Such a pretty label and a pretty wine. Both are the creative vision of winemaker Isabelle Josmeyer. It’s a summer treat, perfect with prawns or grilled chicken. I enjoyed with a ginger-flecked veggie stir fry. Citrus pulses through this wine, there’s vibrant lemons and a crunch of pear too. If you like your barbecue reds to stand up against burnt chipolatas, then William Hardy Langhorne Creek Shiraz (RRP £9.99 various retailers) could be for you. It is an Oz shiraz which isn’t backward in coming forward. Blackberries and pepper aren’t shy on all the senses. 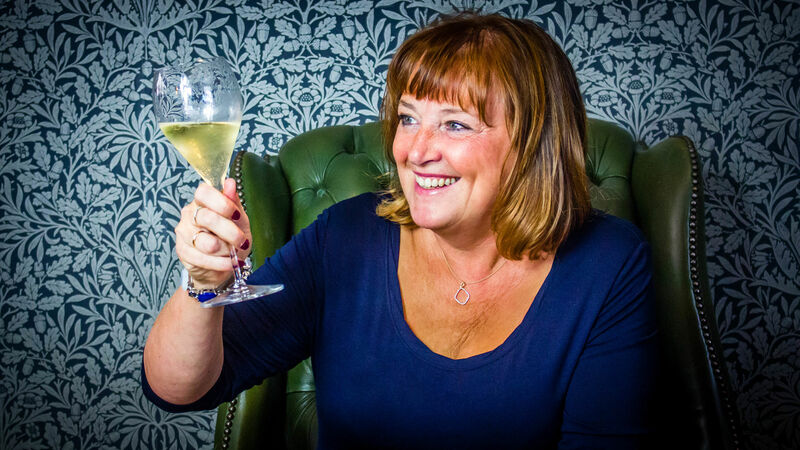 Finally, I admire the concept of new wine club Sip & Learn which was set up by two friends. One of them, Marie-Anne Onraed sent me the first box in their “education” series. It’s an introduction to the differences between aromatic and non-aromatic wines. The box included Sauvignon Blanc Touraine Chateau Gaillard 2013 (£9.50 if you buy separately from sipandlearn.co.uk) and Chardonnay Domaine Corin Pouilly-Fuissé Les Chevrieres 2011 (£20.50). A booklet explains the grapes, key facts and tasting notes. The Loire Valley sauvignon blanc is fruity and grassy with a river running through it; the Pouilly-Fuissé from the southern part of Burgundy has pear, apples, hazlenuts and vanilla with a dry finish. A good contrast between the two wines for people on a learning curve. It is £30 a month, which is a chunk, but if you want to try good wines, it may be worth a punt. If I had a pound for every time people say “Châteauneuf-du-Pape” when I ask them to name their special-buy red, I wouldn’t be sitting here. Sorry, but that’s how shallow I am. It’s June and you might not be thinking of red wine, but tomorrow is Father’s Day, so you have an excuse. I asked Dad A and Dad B to taste-test some Châteauneuf-du-Pape. 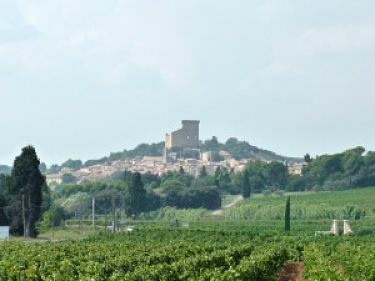 But first, some facts: Châteauneuf-du-Pape is a town in southern Rhone near Avignon, so-named as it sits in the shadow of a medieval papal palace. Wine-makers are allowed to use up to 18 grape varieties but most blend from just a handful. Grenache is the powerhouse. It is the most widely planted and the backbone of red wines. Mourvèdre, syrah, cinsault and others take supporting roles. Yes, there are a handful of white wines too. Grapes include clairette, and roussanne. The wines are not for the faint-hearted. By law, the minimum alcohol level is 12.5% – don’t be surprised if you find wines at 16%. The price range is huge, so deep breaths. Says Dad B: “These are a real treat: The white is the pick of the pair, a gorgeous, rich mixture of gingerbread and honey on the tongue but balanced with plenty of fresh fruit, all conjuring up summer nights in Provence. I think you’ve got the message. Dads like Châteauneuf-du-Pape. I’m not a dad, but I’m allowed my say. Domaine du Usseglio 2012 Châteauneuf-du-Pape Tradition (£26.54, wine.gauntleys.com) is a blend of grenache (80%) with syrah, cinsault and mourvèdre in attendance. Talk about comfort blankets. Rich ripe punnets of black fruit in a full-bodied velvet cloak speckled with spice. Also from Gauntleys, Domaine Giraud 2010 Châteauneuf-du-Pape Tradition (£29.37) is produced from vines between 60 and 80 years old. They’ve known life and offer much. Grenache is 60%, followed by syrah and a sprinkle of mourvèdre. I was asked to write the word “yum” so I will and I have. There’s a lush richness of vanilla and black cherries on the nose (chocolate too) with lots more of the same to taste. From Tesco’s website, there’s an award-winner in Châteauneuf du Pape Cellier des Princes Haut des Coteaux 2010 (£25). The 2010 vintage won gold at the International Wine Challenge. Spice is the driver here, with plummy, cherry fruits and a savoury edge which all add to a very delightful mouthful indeed. I suggest you go to your local independent wine merchants to find a really special good CdP for dad. 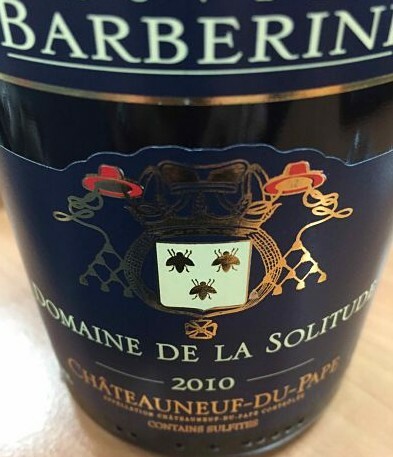 In the supermarkets, Sainsbury’s Taste the Difference Châteauneuf-Du-Pape 2013 (£14) won the International Wine Challenge Great Value Red under £15. It’s silky, peppery and nicely balanced. Asda has a decent offering too, with Extra Special Chateauneuf du Pape 2012 (£9.97).